Donald Rumsfeld made a Winston Churchill solitaire app. 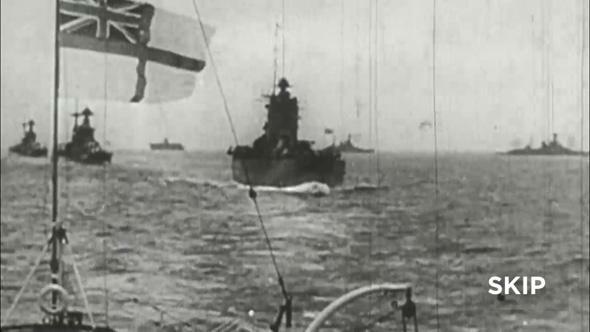 Just your typical British Navy archival footage in a free card game app. On Thursday, 83-year-old former Secretary of Defense Donald Rumsfeld released an iPhone app. A solitaire iPhone app. OK, a Winston Churchill–themed solitaire iPhone app. So. Many. Questions. Here’s the basic rundown. Winston Churchill played a special version of solitaire. Rumsfeld learned it from one of Churchill’s protégés, André de Staercke, in the 1970s. I asked him what he was playing and he proceeded to tell me the origin of the game he called Churchill Solitaire after the man we both very much admired, and the diabolical rules that make it the hardest game of solitaire — and probably the most challenging and strategic game of logic or puzzle — I’ve ever played. 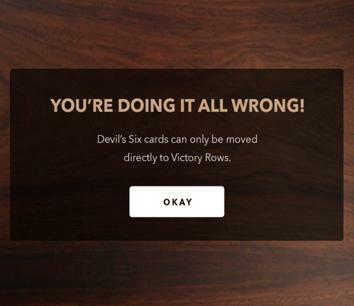 This version of solitaire uses two decks of cards (instead of one), 10 columns of cards (instead of seven), and a special area of reserved cards called the Devil’s Six. The app’s gameplay directions are a little sketchy, but you figure it out once you get going. And if you make a mistake you get reprimanded, seemingly to replicate warlike conditions. If you’re wondering why Rumsfeld made a mobile app in the first place, that’s very valid. He writes that it has to do with taking on new challenges and staying young at heart. “I’ve spent the better part of the past two years trying my hand at developing a mobile app,” he explained. Of course, it’s not strictly true that he tried out software development, because the media firm Javelin and developers at Snapdragon Studios are the ones who actually made the app. In fact, the Wall Street Journal reports that Rumsfeld used “a Dictaphone to record memos for the programmers.” But anyway. Churchill Solitaire opens with archival British military footage, goes through some biographical Churchill history, and then leads you to “campaigns” where you play solitaire to advance through a historical war narrative. Thrilling stuff. The app is free to download but nudges you to make in-app purchases that unlock campaigns and special features. Rumsfeld’s relentless competitiveness is well-documented, both in the international arena and on the squash courts. And his app showcases interesting history about Churchill that probably would have never come to the humble realm of digital solitaire otherwise. Plus the game is pretty fun! (The endless, dramatic orchestral music, not so much.) But the app is just so deeply, fundamentally out of the blue. Rumsfeld’s Medium post is subtitled, “I’ve done business, politics, and war. Now I’m trying my hand at mobile gaming.” It’s pretty unsettling to think that war is something people “do” as casually as turning a pet project into a video game.